8/15 UPDATE: WE ARE SORRY, THE STUDENT SHOPPING EVENTS HAVE ALL BEEN FILLED AND APPLICATIONS fOR 2018-19 ARE NOW CLOSED. 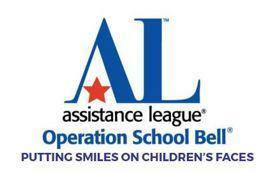 OPERATION SCHOOL BELL SERVES QUALIFIED LEUSD STUDENTS...online application is for LEUSD students only, K-12! Under the Assistance League (AL) of Temecula Valley, Operation School Bell provides new school clothing to qualified K-12 students enrolled in the Lake Elsinore Unified School District, 2018-2019 School Year. Apply online at the links below! Each qualified student may purchase up to $125.00 of the school appropriate clothing of your choice, including shoes, socks, underwear, jackets, sweaters, shirts, tops, jeans, pants, shorts, dresses, or skirts. Some restrictions apply. Please contact the Assistance League of Temecula Valley via email osbelsinorescheduler@gmail.com. Lake Elsinore Unified School District does not manage the Operation School Bell program or eligibility criteria. Please review the Family Income chart below. If you meet the income eligibility requirements, you may proceed with the online application. Participation eligibility is based on “Total Yearly Family Income.” Family income means all persons living in the same household who are related by birth, marriage, or adoption and are benefiting from the activities and contribute to Total Family Yearly Income. Food Stamps/Cal Fresh is not added to your Total Yearly Family Income, is not considered an income source. 3. Student Shopping Event Dates, chose ONE only, then go to step 4 below. A parent or guardian must accompany the student to the SHOPPING event. High school students will need to bring student body card or picture identification. There will be no make-up schedule if your student misses the appointment. Your student will not be allowed to participate in the shopping event without the parent or guardian providing proof of family yearly income COPIES of documents on the designated shopping date as outlined below. You will need to bring proof of family yearly income to the selected shopping event. Your verification documents may include ONE or more of the items listed below. Please be prepared to bring COPIES only; we cannot accept original documents. County, State, Federal Assistance Documents, such as "Passport to Services," "Cash Aid," "Notice of Action," or other Government Assistance. Other sources you may have, such as Church or other Community Organization that may be assisting you and your family. Income Verification Form if zero income. To fill out at shopping event. Operation School Bell's LEUSD shopping events are held at Kohl’s Murrieta and Target Lake Elsinore on selected dates and begin at 4:30 p.m. The 2018-19 locations are listed in step 3 above, after the shopping dates. Read eligibility criteria in the checklist before you apply. All applications offered on a first come, first served basis, Assistance League of Temecula Valley will close applications once shopping date(s)s fill. Following application approval, bring COPIES of verification documentation with you to the dressing event-NO ORIGINALS will be accepted! Mire o baje la lista de chequeo para la solicitude en línea de Operación Campana Escolar y el folleto abajo.